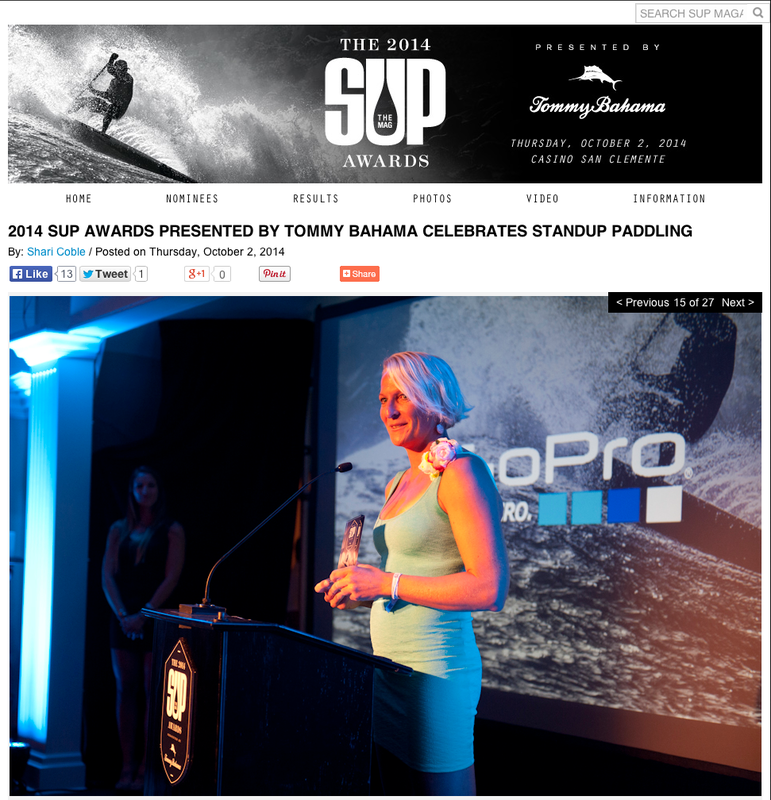 (SAN CLEMENTE, CALIF.)— Standup paddling’s greatest athletes, philanthropists and filmmakers came together for a historic night with SUP Magazine at the 2014 SUP Awards presented by Tommy Bahama. 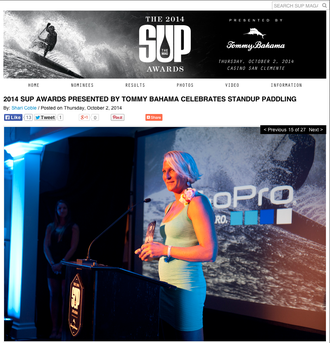 With hundreds of guests gathered at the Casino in San Clemente, Calif., SUP Magazine and industry pros celebrated the top male and female paddlers, expeditions, philanthropic efforts and films of 2014. 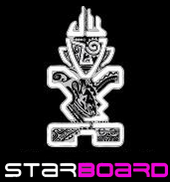 Recognizing her impressive world championship win at the Molokai 2 Oahu, Sonni Hönscheid, was awarded Female Performance of the Year, alongside 2014 Male Paddler of the Year, Connor Baxter, who was honored with Male Performance of the Year for his win also in the Molokai 2 Oahu.